Lowest Rates - Quality Cruises aboard Classic 72ft S/Y "HALLELUJAH"
* 4.30 pm to 7.30 pm (3 hours) - Private groups or join-in basis. * Customized Cruises to suit Your Schedule & Itinerary! 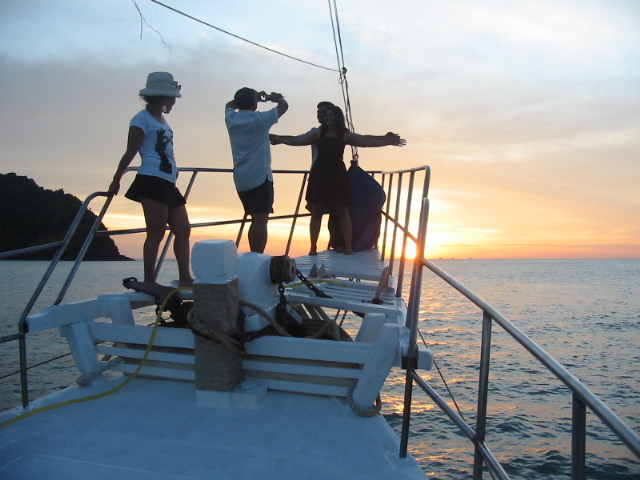 * Private Parties, Honeymoon Packages, Fishing Trips, Corporate Tours, Team-building Events, Eco-Cruises, etc. * Tell us what you want & we'll design a Custom Cruise for You! * Discounted Negotiable Rates & Times! * Contact us now for Unbeatable Value Quotations! You can afford to go on a Yacht Cruise! Where are we & How to get there? Just come on down to Royal Langkawi Yacht Club - only 5 minutes from town - and stroll through the yacht marina to Berth No. B 25. So easy & convenient for you to simply step aboard, kick off your shoes, sit back, relax and off we go! All Day & Sunset Cruises include a FULL BUFFET of delicious & healthy Malaysian, Chinese, Thai, Indian, Indonesian & Peranakan (Nonya/Baba) Cuisine. Enjoy spicy curries, seafood salads plus an exotic range of sumptuous dishes, even exclusively Vegetarian if requested . . . Yummee! All Cruises include an array of delicious hors d'oeuvres, appetizers and party snacks. Plus FREE FLOW BAR of Ice Cold Beer, White Wine, Red Wine, Sparkling Spritzers, Soft Drinks, Fruit Juices, Mineral Water, Spirits & Mixes, including our own unique "Hallelujah Sunset" . . . Cheers! 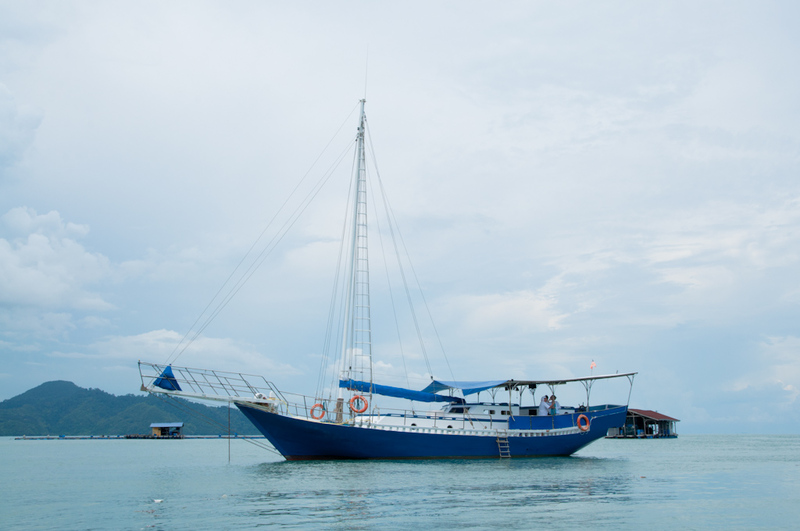 Cruising aboard "HALLELUJAH" you'll experience the stunning scenery and natural beauty of the legendary Langkawi islands as you relax, indulge your senses and enjoy yourself having the most affordable fun around! Just Bring Your Own F & B for a Private Party on the High Seas! Sunset Cruise (3 hrs.) = only RM 150 per pax! Day Cruise (6 hrs.) = only RM 280 per pax! * Advance Discount Bookings for High Season: November-April. * Extra Bonus Discount Bookings for Low Season: May-October. * Super Special Private Charter Discounts - All Year Round!